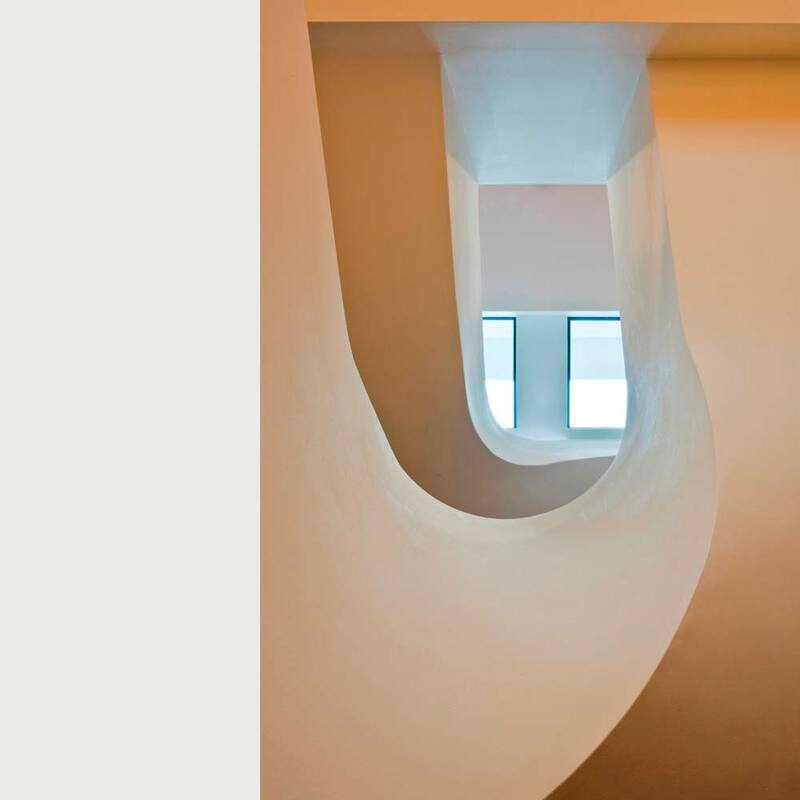 Split House joins two mews buildings with a curved in-situ cast concrete stair. 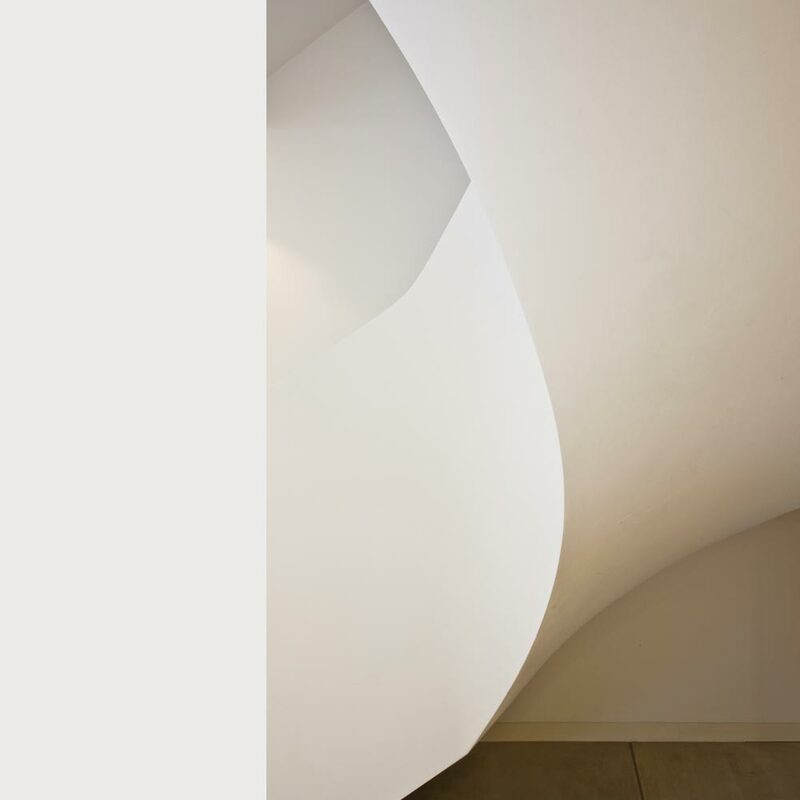 The stair acts as a connector of levels and a space in which objects and paintings are displayed. Both circulation space and gallery, top lit and organised with an open centre allowing the floors to visually interconnect through a central void that is framed with a roof level skylight. Environmentally the space of the stairwell facilitates passive ventilation from each floor. Internal conditions are monitored and sensors activate the skylight to increase the rate of ventilation.